The future of professional continuing education is to provide high quality content in an online, mobile friendly, format. ACEP was created to provide fellow professionals access to a customized, user friendly, educational ecommerce platform. Our goal is to give professionals the ability to sell their knowledge and experience by creating their own turn key online training academy. Unlike other Learning Mangement Systems (LMS) that are often designed for other industries and priced absurdly high, the ACEP platform is designed to meet the specific needs of professional continuing education. What's more, we are the only LMS provider that gives you access to your own team of developers so that your system is set up with the exact features you want while ensuring you don't pay for a single thing you don't need! Contact us today to get started on monetizing your professional knowledge! More About Michael K. Sullivan, Esq. 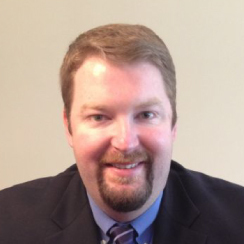 Michael K. Sullivan is an Assistant Professor and Program Director of Paralegal Studies. Mr. Sullivan has also served as an educational consultant assisting Legal Studies programs in securing and maintaining American Bar Association (ABA) approval status. Mr. Sullivan received his Juris Doctorate from Seton Hall University School of Law, during which time he served as a Teaching Fellow in the University's Academic Support Program. Mr. Sullivan served as a law clerk for the Honorable Robert W. O'Hagan in the New Jersey Superior Court, Monmouth Vicinage, Civil Part, Law Division. Following the clerkship, Mr. Sullivan joined a mid-sized law firm in where he specialized in commercial and corporate litigation. Mr. Sullivan has well over a decade of legal education experience in the following areas: Paralegal Training, Contracts, Constitutional Law, Criminal Law, Criminal Procedure, Torts, Property, Civil Litigation, Civil Procedure, Legal Ethics, Corporate Law, Legal Research, and Legal Writing. More About Joseph Zavaglia, Jr. Esq. Joe Zavaglia is a Professor of Legal Studies. Mr. Zavaglia has taught at Seton Hall University School of Law as well as Temple University. Mr. Zavaglia also serves as the Director of Legal Seminars for the Academy of Continuing Education for the Professions, LLC. ​Mr. 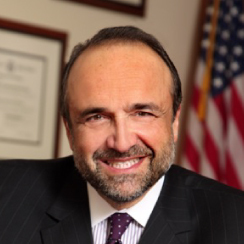 Zavaglia received his Juris Doctorate from Seton Hall University School of Law. He is licensed to practice law in New Jersey, New York, and Tennessee. Currently, he serves as Of Counsel at Lomurro, Davison, Eastman & Munoz in Freehold, New Jersey. Mr. Zavaglia has also been approved to teach continuing education courses to real estate agents and title professionals. Mr. Zavaglia has over thirty years of legal lecturing and paralegal training experience in the following areas: Contracts, Torts, Civil Litigation, Civil Procedure, Corporate Law, Moot Court, Property, Estates, Entertainment Law, Legal Ethics, and Legal Research & Writing.